Trying to get back into lj after so long when I couldn't sit at the computer or sewing machine cause of a back problem. Even sitting holding a book was painful, Audible books are my new best friend. 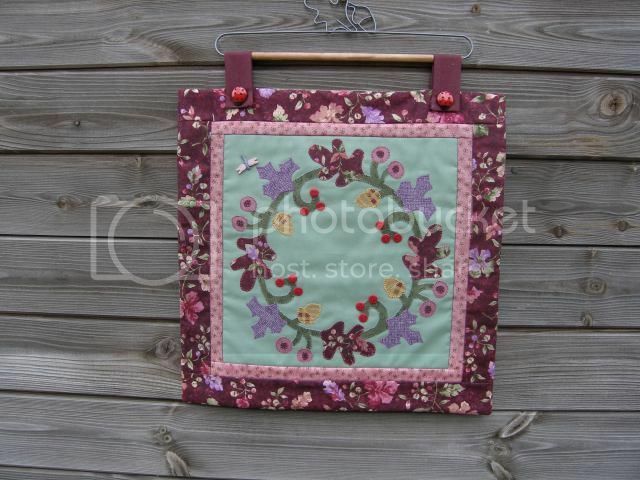 So the only thing I have made for a very long time is this small wall hanging, but small is good as well.. Thanks Sheila. Hoping I can get onto larger projects soon. Thanks! I hope my back holds up as well. I hated not being able to do all I wanted. So taking it slow.